Macaroni salad one of my family’s favorite side dishes. 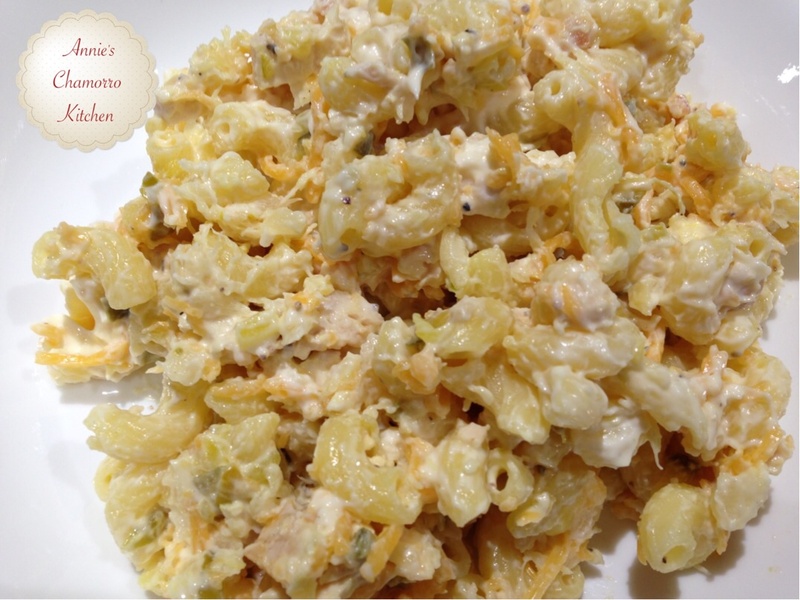 There are many, many macaroni salad variations, but we’re simple…we like two specific kinds. The first is a Hawaiian style macaroni salad and the other is Filipino style Macaroni salad. 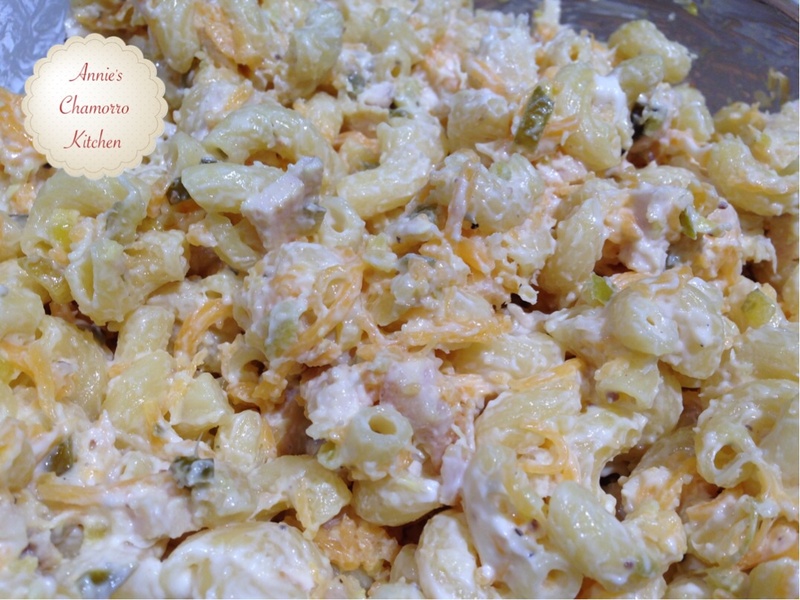 My recipe below is for a very basic Filipino macaroni salad. It has chicken, cheese, pineapple, and sweet relish, but you can also add other ingredients such as hard-boiled eggs, ham, and raisins. Some of my Filipino friends also add a spoonful or more of sweetened condensed milk, but I don’t like mine too sweet (to me, the relish and pineapples add just the right amount of sweetness) so I don’t add it. This dish is best made the night before you intend to serve it. An overnight stay in the ‘fridge allows all the pasta to absorb all the delicious flavors. 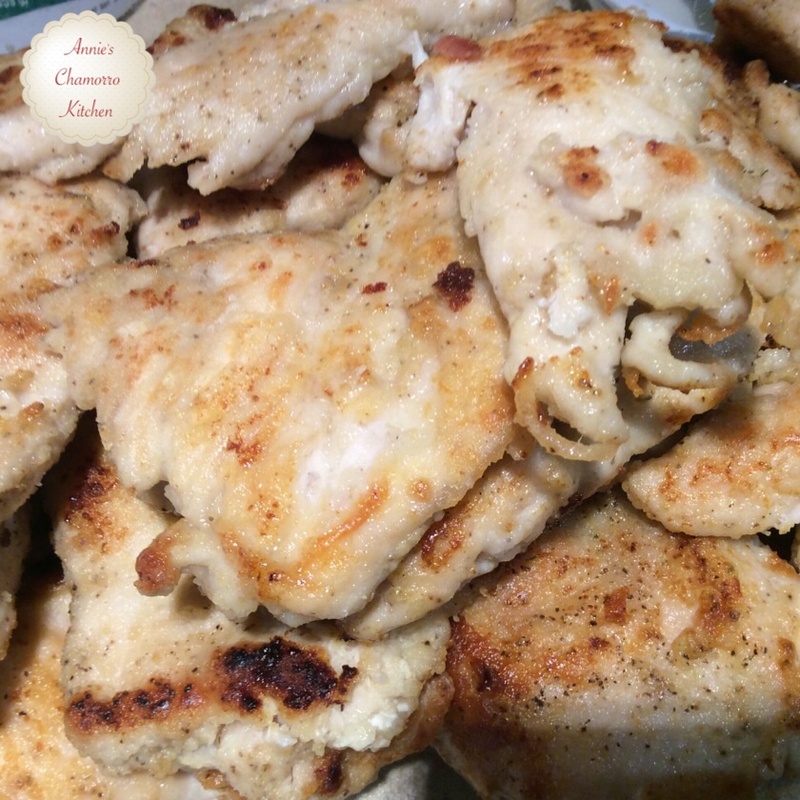 I like to add lots of chicken (more than what I have in my recipe below) whenever I want to serve this as my main dish. It’s great for packed lunches, and it’s also a quick and easy pot-luck dish. 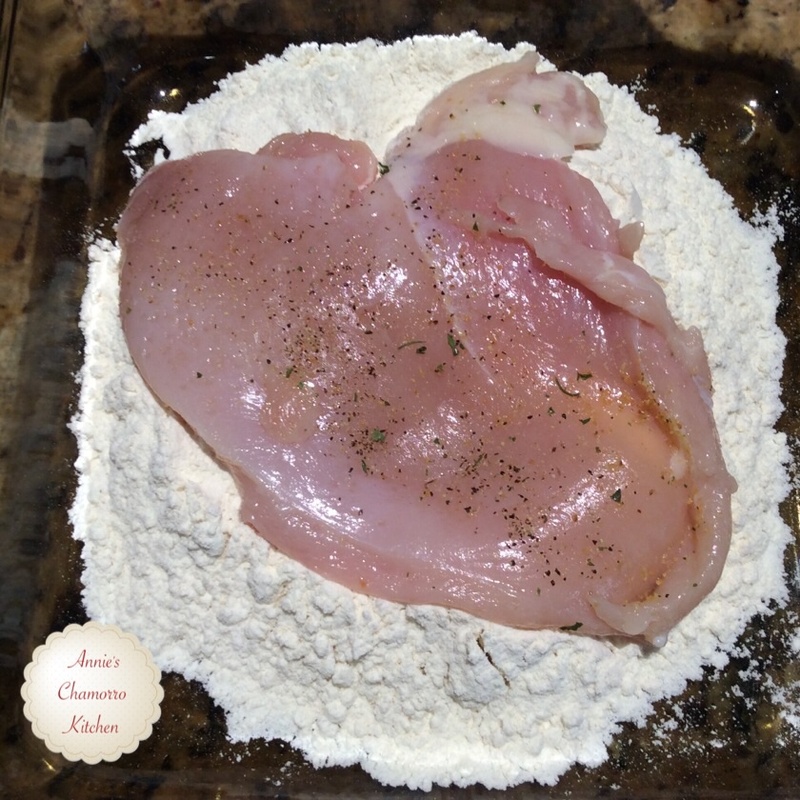 NOTE: The photos below of the chicken show around 9 or 10 chicken breasts. 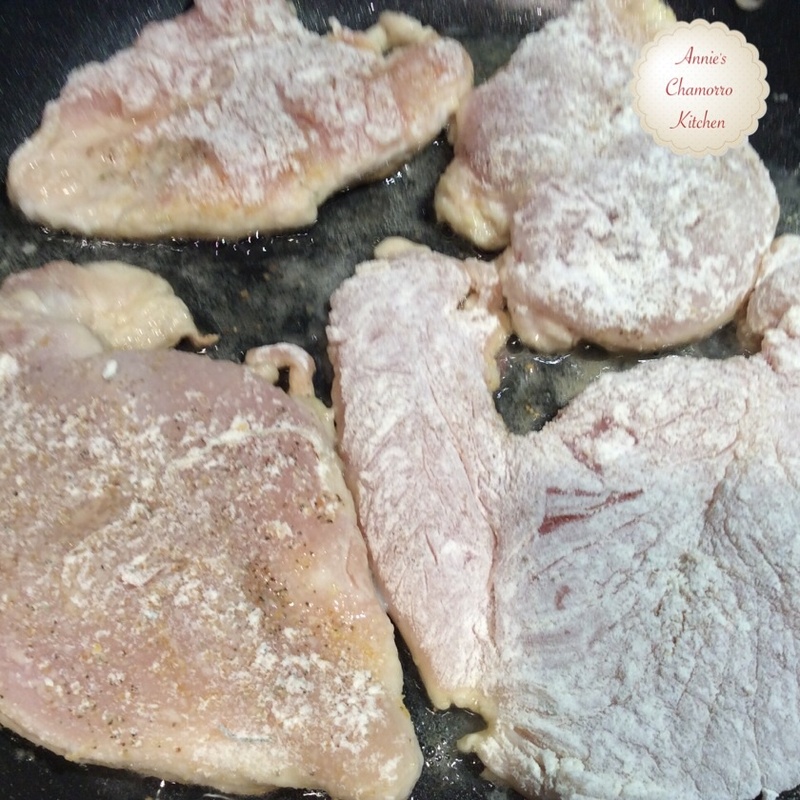 We like to cook several chicken breasts at a time so that we can use it throughout the week in various dishes. We used one breast to make this salad; about 6 breasts were used in my daughter’s Chicken Marsala, and a couple more went into my daughter’s other dish, Mac-n-cheese with Chicken. Cooking in bulk is a great way to save time during the week, especially if you’re pressed for time each morning. It saves time at night too, when you’re trying to prepare dinner after a long day at work or school. Place the chicken breast into a ziplock bag. 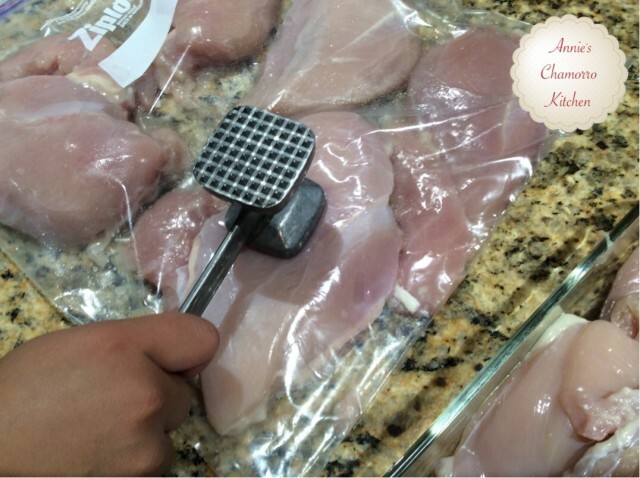 Use a kitchen mallet to flatten the chicken into about 1/4-inch thickness. 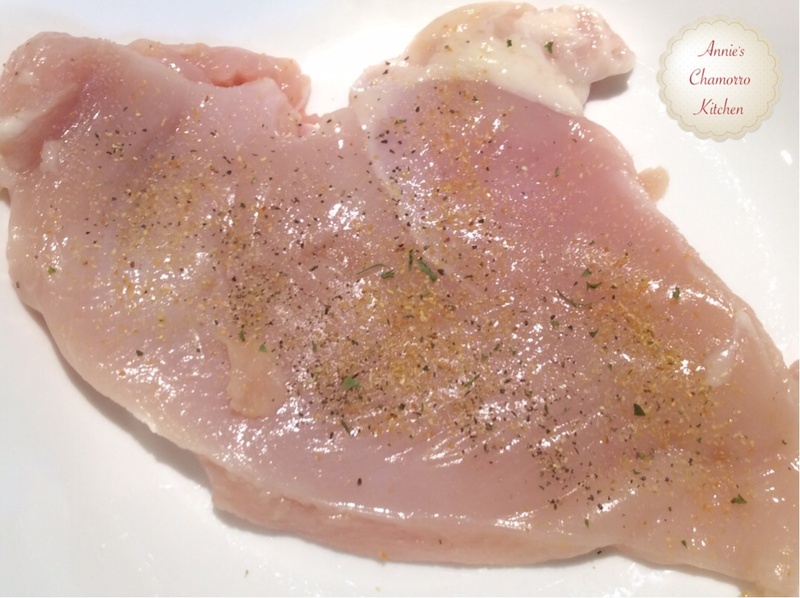 Sprinkle both sides of the chicken breast with salt, black pepper and garlic powder. 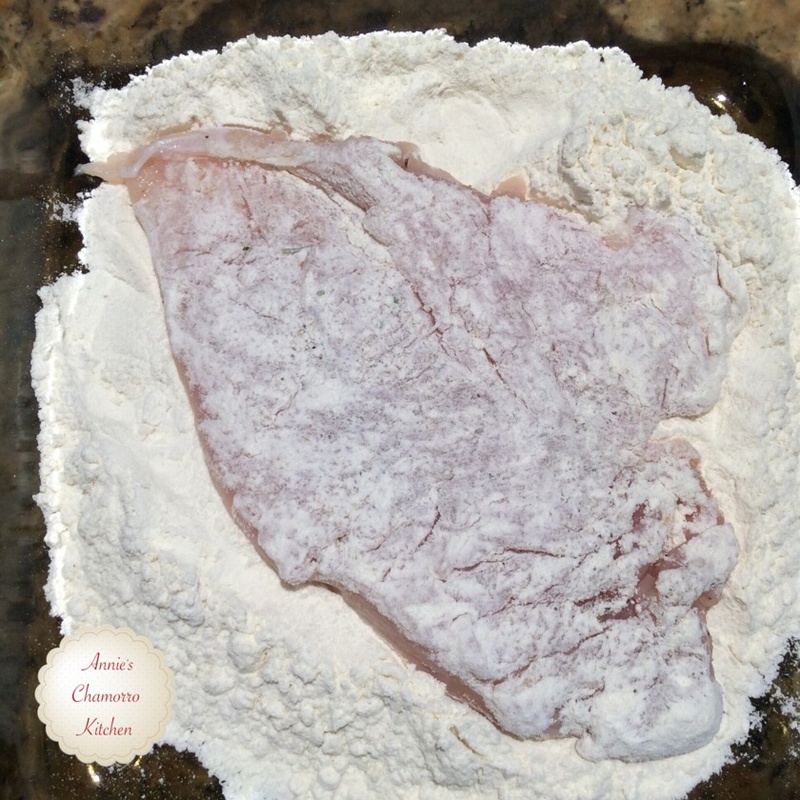 Dredge the seasoned chicken breast in the flour, covering both sides. 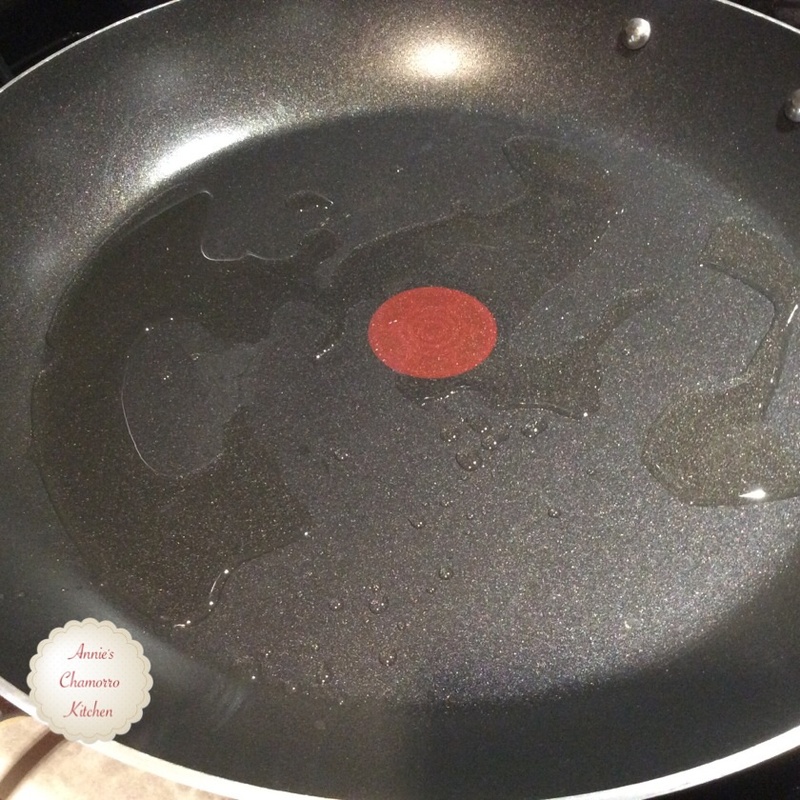 Place a skillet over medium-high heat. Add the vegetable oil to the pan. Place the chicken in the pan when the pan and oil are hot. Reduce the heat to medium. Cook the chicken for about 4-6 minutes on each side. Turn occasionally to evenly brown both sides. 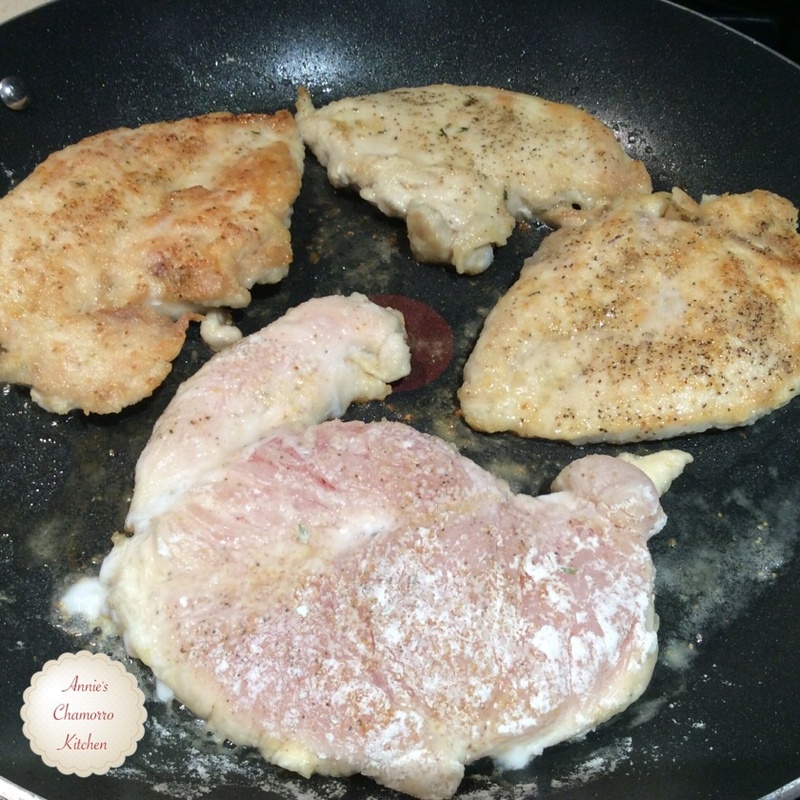 Shred or thinly slice the cooked chicken and set it aside. Place the shredded chicken breast, cooked macaroni, black pepper, relish, crushed pineapple, cheese and mayo in a large mixing bowl. Add in any other optional ingredients. Gently fold all of the ingredients together. Refrigerate for 30 minutes to an hour to allow the flavors to meld.